Week one of the National Premier Leagues NSW finals are in the books and only four teams remain after a weekend of shock results. Blacktown City’s season is over after Rockdale City Suns claimed a surprise victory at Lily Homes Stadium on Saturday night. Once again Blacktown struggled to play their best football and were outdone by a determined Rockdale outfit. The twists and turns continued at Lambert Park as a ten-man Sydney United 58 triumphed against APIA Leichhardt Tigers 5-3 on penalties after the matched finished 1-1 after extra-time.  It was a match which mired in controversy after Sydney United 58 had the wrong player sent off on the cusp of halftime. A last ditch APIA equaliser deep into added time kept the match alive before a clutch save from Thomas Manos during the shootout completed the upset. The results mean United 58 will meet Premiers Sydney Olympic next week, while APIA stay alive in the finals and take on Rockdale City Suns. APIA Leichhardt Tigers FC 1 – Sydney United 58 1 at Lambert Park. An inspired display from Thomas Manos has helped a 10-man Sydney United 58 take out a controversial win against APIA Leichhardt after a 5-3 penalty shoot-out victory at Lambert Park on Saturday. With the game locked at 1-1 after 90 minutes, Manos wrapped up his man of the match performance by making a save in the shoot-out to give United 58 a shock win and move them to only one game away from a grand final beth. It was a game full of twists and turns as well as a moment of madness which is sure to be talked about for weeks to come. Patrick Antelmi gave the visitors the lead on the cusp of halftime but he shouldn’t have even been on the field after escaping punishment for lashing out off the ball with Chris Payne was sent off instead in a case of mistaken identity. Manos was playing like a man possessed making save after save as the Tigers looked to take advantage of their man advantage with relentless waves of attack. It took APIA until the final moments of the match to find an equaliser when Nathan MIllgate sent the home support into pure jubilation with a clutch goal at the death. But Manos, and United 58, would have the final laugh as to hand APIA their second defeat in as many weeks. Harris Gaitatzis fired a brace in two first half minutes to lead Rockdale City Suns to a 2-0 victory over Blacktown City at Lily’s Football Centre on Saturday evening. Rockdale’s mercurial attacker fired home from the edge of the box midway through the first half and coolly dispatched a penalty kick 64 seconds later as Paul Reid’s side established an unassailable two-goal advantage in the first half. That damage proved terminal for Blacktown City, who were rocked by the visitors’ quick-fire double and were unable to match Rockdale’s intensity throughout the contest. Mark Crittenden’s men have been among the benchmark outfits of the NPL NSW in recent years, but there will be plenty for the hosts to rue after concluding their campaign convincingly beaten on home soil. It was the second straight season City had hosted Rockdale at Seven Hills in the first week of the finals, and it yielded a similarly emphatic away victory for the team from Ilinden.